MARCH 21, 2017, ABC57 NEWS – Indiana Department of Corrections could be amongst the ranks of the most forward thinking DOCs in the U.S. They plan to make tablets accessible to 100% of their population. Thanks to our customer, Oregon DOC, for paving the way. To learn more, watch the video broadcast here: Watch the full story here. 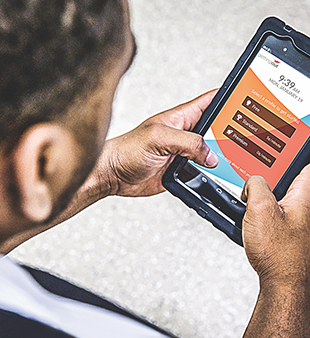 These inmates get access to tablets. They’re using them to reconnect to society. On February 24, 2017, Circa covered the inmate wireless Telmate Tablets at the Albany County Correctional Facility in New York. To learn more visit the link below: Watch the full story here. https://www.telmate.com/wp-content/uploads/2017/02/Tablets-at-Albany-NY.png 338 310 Telmate https://www.telmate.com/wp-content/uploads/2013/04/telmate_logo_450.png Telmate2017-02-24 09:00:502017-02-28 00:16:06These inmates get access to tablets. They're using them to reconnect to society. On February 2, 2017, FOX 56 covered the Telmate Fallen Heroes award ceremony for local fallen Officer Daniel Ellis. To learn more about his story and the Telmate Fallen Heroes program visit the link below: Watch the full story here.